A slightly Green but sweet Mango served with Crushed Ice.. Fresh and Hydrating. A Cocktail with a good splash of Blackcurrant and Oranges with a few Ice Cubes.. Watch out for freshness! A delicious and authentic Cola with a twist of Lemon on the rocks. Guaranteed to quench your thirst for Vaping! Notice to Mango lovers, the Mango E Liquid is a powerful all day liquid, A perfect balance of a sweet and fresh Mango. A very fresh and ripe Mango . Authentic barbarian islands. A refreshing liquid with balanced flavours of Peach and Lemonade. A best-seller from Medusa Juice. A juicy Melon with a delicious Peach flavour. 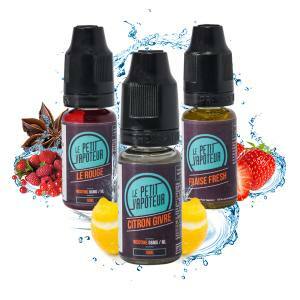 A fresh and impeccable fruity e liquid. A recipe with a mixture of Watermelon and ripe Strawberries, without forgetting a touch of freshness. A mixture of Mango and Fresh Papaya, increased with Citrus Fruits. 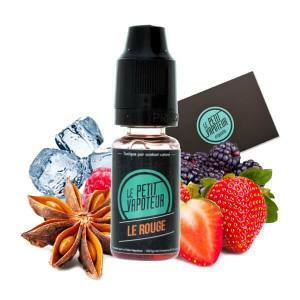 An e-liquid Full of Fruits and Red Berries with an icy effect when exhaling. A fresh Pear, complete with a touch of Mango and Orange. The acidity of Kiwi and Passion Fruit, softened with Peach, without forgetting the freshness. An explosive Cocktail with a base of Lemon and Lime increased with Pineapple and a hint of Ginger. Marvelously mixed with Mango, Pineapple, Passion Fruit Blood Orange and Green Tea, with freshness. A mixture of Mango and Peach, with a roundness in the mouth and a hint of freshness. A surprising marriage of Strawberry and Dragon Fruit, all with freshness. A mixture of refreshing Lychee and Red Fruits which invites you to be greedy. Sweet Mango, left to ripe under the sun, sublime with acidic Raspberries,enrobed with the a wave of freshness. Appreciate the delicious aromas of Tang Orange Lime and , enhanced with a touch of freshness ! With this Atomic E liquid you will procure a strong sensation of freshness associated with Lemon acidity ! A delicious Vanilla Ice Cream accompanied with Biscuit Chips enrobed with Milk Chocolate. This delicious Cookie Chip Ice Cream offers you a very gourmet vape. An explosion of Red Fruits, accompanied with Vanilla Cotton Candy. A fruity and refreshing e liquid. With a mix of original fruits, such as Strawberry and Watermelon. A selection of Fuji and Granny Smith Apples, juicy and delicious, in perfect harmony with a Cranberry finish. A fruity cocktail with large Grapes sweetened with the inhalation of creamy ripe Apples at the end of your vape. Find the flavours of Bathilde 814 in version full of freshness ! The delicious Clodomir is available in a Fresh version ! With beautiful flavours accompanied with freshness.